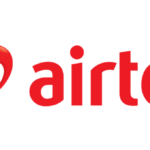 Airtel SmartTRYBE is one of the most innovative Airtel plans and packages, allowing you to do more with your Airtel line. SmartTRYBE offers the best data and call rates to all networks, night browsing, campus deals and a slew of other features all with a dial of *312#. The SmartTRYBE package offers four basic special benefits that make browsing and calls interesting. The benefits are shortly discussed. Bundles of N500 and above purchased in campuses across Nigeria and neighboring areas attract a bonus of 30%. In other words, the Airtel Easy bundle, priced at N500 has a data allowance of 750MB and an on-campus bonus of 225MB and therefore a total data allowance of 1GB. The Android 1.0 bundle has a total data allowance of 2GB (a bonus of 460MB and data allowance of 1.5GB). BB Unlimited bundle has a total data allowance of 3.9GB (a bonus of 920MB and data allowance of 3GB), and so forth. You can access the campus data balance by dialing *140# on your Airtel line. Airtel SmartTRYBE also offers highly affordable call rate at 11k per second to all networks in Nigeria. However, the first 60 seconds in a day on SmartTRYBE costs 22k per second but the rest of the calls are charged at 11k per second. Furthermore, international calls to US, UK, India, and Canada on Airtel SmartTRYBE are charged 55k per second but other destinations are charged at standard rates. Another interesting special benefit of Airtel SmartTRYBE is the weekly benefit. Apart from the campus deals, SmartTRYBE users can purchase a 1GB data valid for 7 days at N500. Moreover, you can also enjoy 5MB bonus on your first N100 recharge and additional 10MB on the second N100 recharge in a week; giving a total of 15MB bonus per week. Night browsing is one of the four major special benefits offered by Airtel SmartTRYBE. 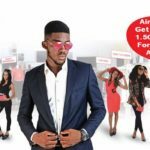 Previously, Airtel offers two night browsing packages on the SmartTRYBE, namely N25 for 500MB and N200 for 1.5GB. However, only one night browsing package is now available in the network – the N25 for 500MB plan. Just like before, Airtel does not provide an opportunity to buy an additional night bundle plan when your 500MB bundle expires for the night. Your Airtel SmartTRYBE night plan is also valid between 12 am and 5 am.